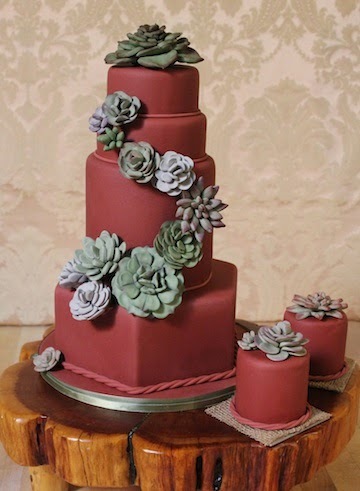 We are in love with Marsala! 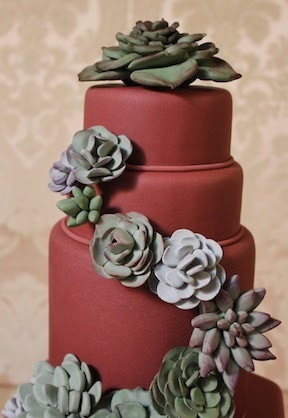 It is the perfect Sedona color - a true reflection of our fabulous red rocks. 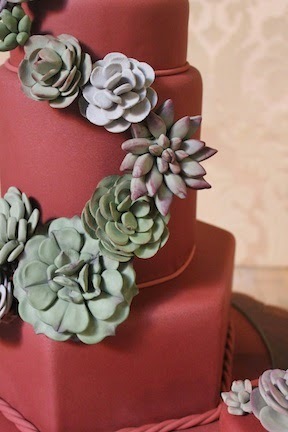 Our Marsala wedding cake is adorned with hand-made sugar succulents. 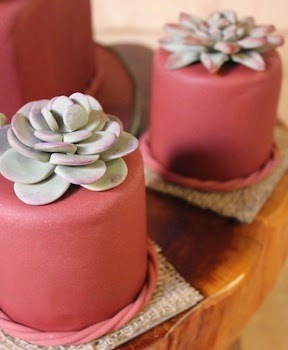 Mini cakes for the guests had individual sugar succulents.